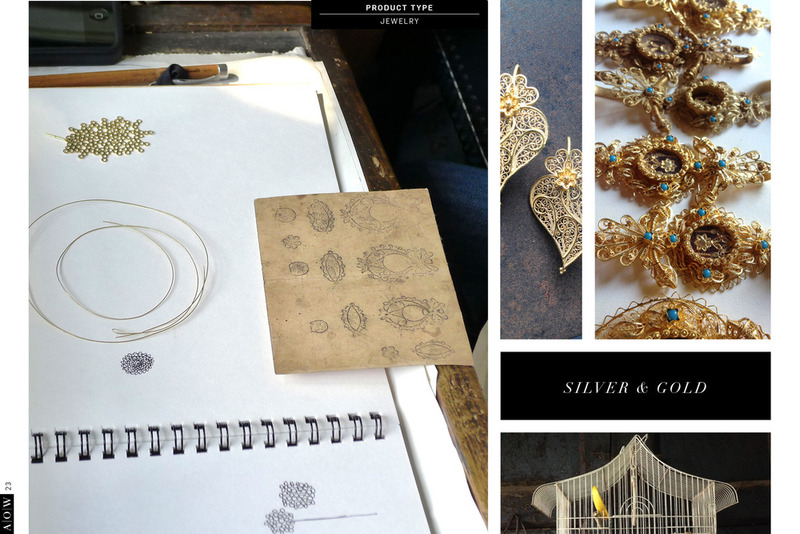 AOW Handmade just returned from beautiful Portugal. 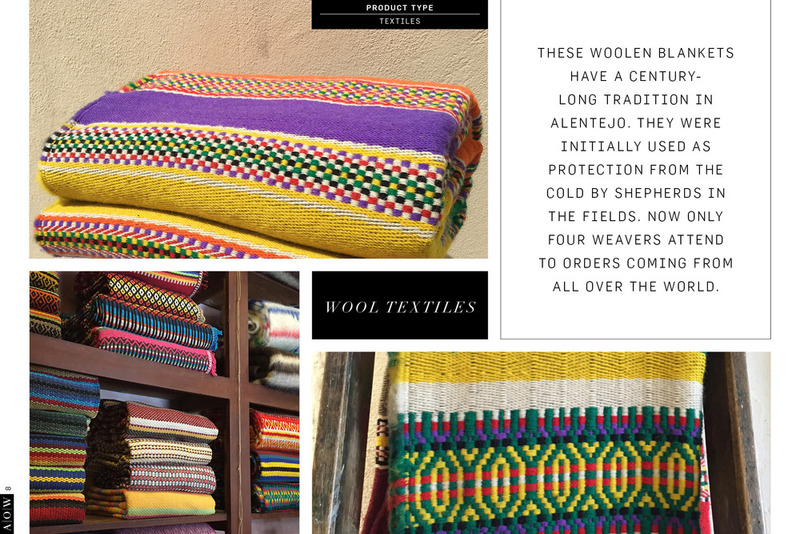 During this scouting trip, founder Annie Waterman visited FIA Lisboa, a small retail show in Lisbon highlighting the unique craftsmanship throughout Portugal and met with handmade manufacturers, makers, and designers. 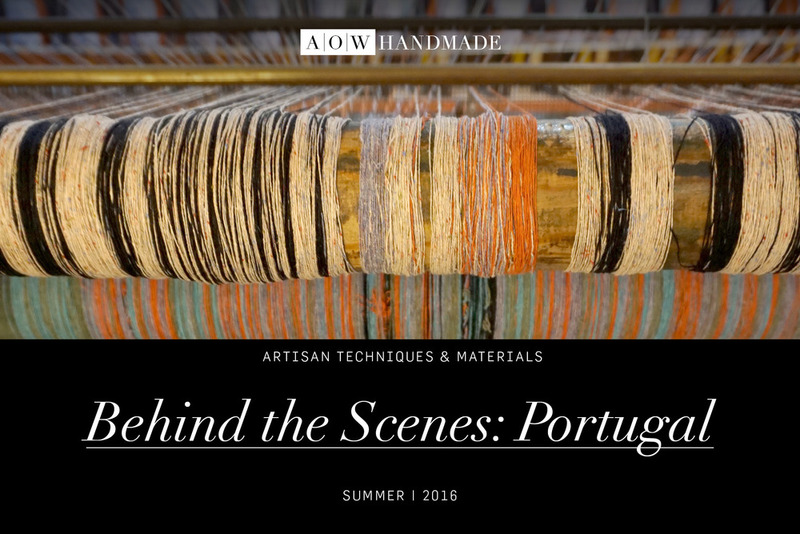 You might be interested in seeing what handmade materials and techniques are coming out of Portugal. If that is the case, this report is for you. It includes 50+ pages of product photos, a Q & A with an industry expert, and glimpse into the materials and techniques available throughout the country. 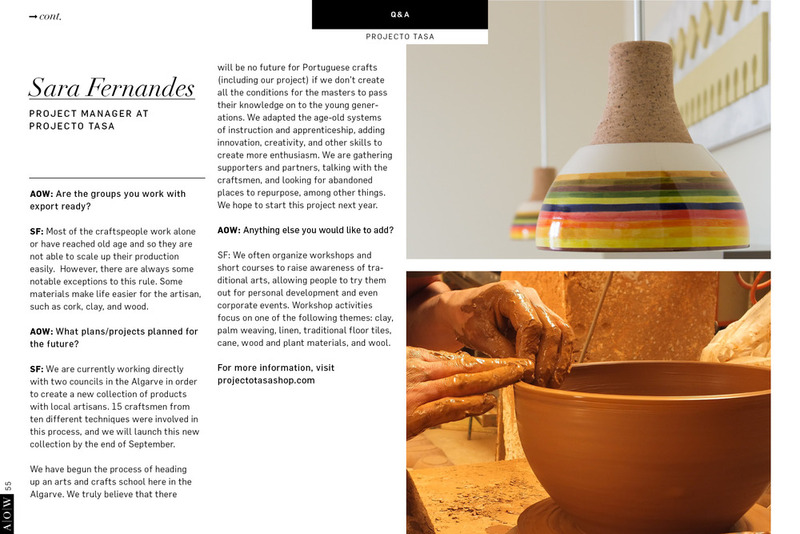 Behind the Scenes: Portugal is a resource written specifically for designers, artisans, retailers, and wholesalers alike. 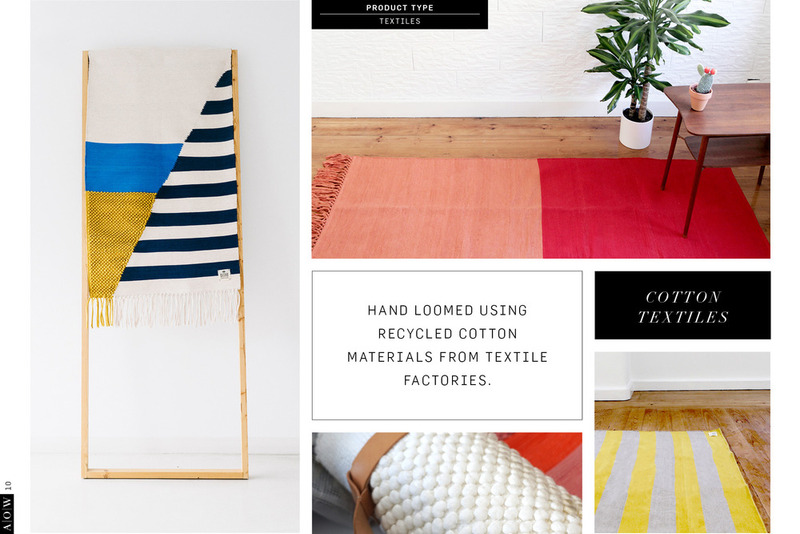 Our reports give you unique and visual insight into the handmade sector. Behind the Scenes: Portugal will be available as a digital download. 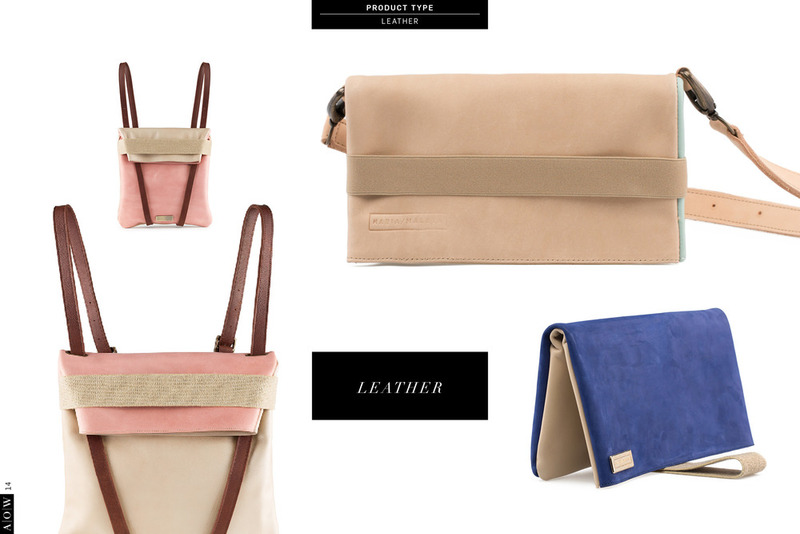 High and low resolution files available for both digital viewing and printing.